Jeffrey Dahl’s gallery of the 2012 Rose Cup Vintage Grid. The event was held on June 16-17 at Portland International Raceway in Portland, OR. Jeffrey Dahl’s gallery of the 2012 Rose Cup. Jeffrey Dahl’s gallery of the 2011 Rose Cup. The event was held on June 18-19 at Portland International Raceway in Portland, OR. Bob Pengraph’s gallery of images from the 2010 Portland Rose Cup Races Vintage Grid held at Portland International Raceway in Portland, OR on Jun 9-11, 2010. Jeffrey Dahl’s gallery of the 2010 Rose Cup. The event was held on June 12-13 at Portland International Raceway in Portland, OR. Jeffrey Dahl’s gallery of the Rose Cup at Portland International Raceway. Jeffrey Dahl’s gallery of the SCCA May regional/national at Pacific Raceways. Jeffrey Dahl’s gallery of the SCCA May regional/national at Portland International Raceway. Jeffrey Dahl’s gallery of the SCCA March regional at Portland International Raceway. 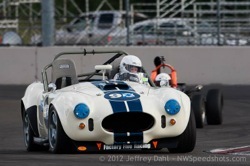 Jeffrey Dahl’s gallery of the SCCA October regional at Portland International Raceway. Jeffrey Dahl’s gallery of the 2008 Rose Cup at Portland International Raceway in Portland, OR. Jeffrey Dahl’s gallery of the SCCA May regional/national at Pacific Raceways in Kent, WA. Jeffrey Dahl’s gallery of the SCCA May regional at Portland International Raceway. 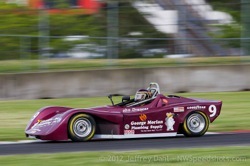 Jeffrey Dahl’s gallery of the August SCCA regional at Portland International Raceway.